Damnably is a Stratford East London label based label & our friend Vacilando ’68 lives up the road in Forest Gate, so we decided to team up and bring music to the culturally desolate borough of Newham and put a FREE gig on at Moka East Cafe that sits on the Greenway path, just above the Olympic Park. 6pm start and will be finished by 10pm. Beers, Wines & Spirits are available from the bar. 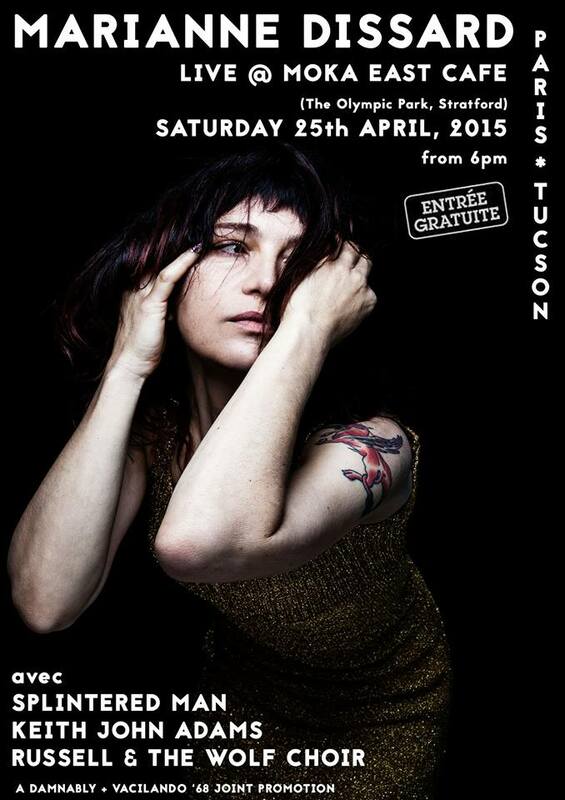 Gig will be in the garden or indoors if it’s too cold. 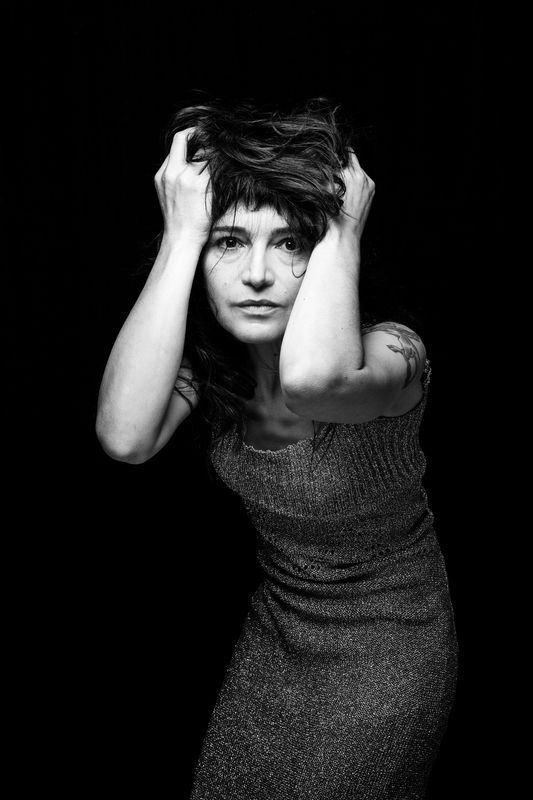 French chanteuse from Tucson Arizona, Marianne Dissard wrote and recorded her first three albums with members of Giant Sand and Calexico.She now resides in sunny Europe. Acoustic version of this quartet featuring Simon from smallgang with his childhood buddy Alex, both gifted guitarists playing magically intricate parts with rolling impressionistic lyrics. Musically it harks back to Fahey, Chapman & Martyn but with seepage from our times. KJA makes pop music in a variety of odd shades. Recent longplayer ‘Roughhousing’ – released jointly by a quartet of like minded independent labels – is an album of smashed out looseness and unexpected detours. backed up by Mark Braby (Subway Sect) and Matt Armstrong (Bill Fay/The Windsors/Kenny Process Team), a/k/a The Wildlife. 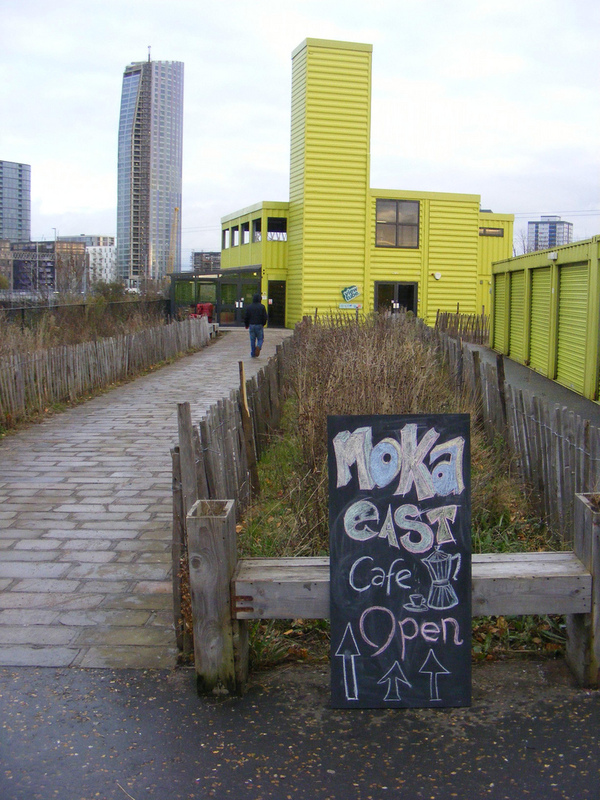 MOKA East Cafe is part of ‘View Tube’, a lime green building found on The Greenway, right next to the future Queen Elizabeth Olympic Park. Follow the signs to View Tube on a short walk from Pudding Mill Lane DLR station, one stop from Stratford. View Tube can also be reached by bike or foot. If you’re coming by car, park at Westfield Stratford and then continue your journey using TFL, or walk 25 minutes down Stratford High Street. Bus routes: 25, 108, 276, 339, 425, D8, N8. Stops: Marshgate Lane or Bow Flyover. We are a fully accessible venue and there is no need to book to visit. Visit www.tfl.gov.uk to plan your journey. View Tube, The Greenway, Marshgate Lane, London, E15 2PJ.